Spartan Power’s 2 AWG battery cables are made from UL Listed cables and are Made in the USA in Reno, Nevada. 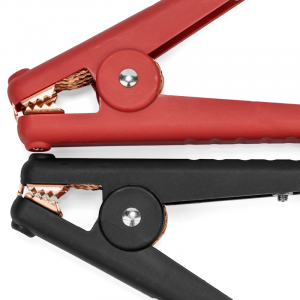 These 2 AWG battery cables carry a Lifetime Crimp Warranty, meaning that if you EVER experience a crimp failure, Spartan Power will fix or replace your cable FOR FREE! We feel these are the best 2 AWG battery cables for power inverters on the planet. 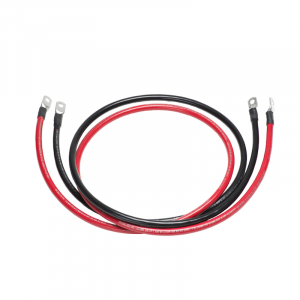 Each 2 gauge battery cable comes with 5/16″ ring terminals pre-assembled on both ends. The 2 gauge wire feature beveled, seamless tubular, tin plated copper lugs for superior corrosion and oxidation resistance along with adhesive lined irradiated polyolefin (PO) heat shrink, which is exceptionally resistant to water, fungus, and UV light. 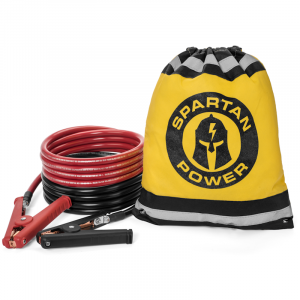 We know everything there is to know about Spartan Power 2 AWG battery cables, so if you need help sizing the correct cable or wire for your power inverter, don’t hesitate to call an expert today. As always, we have FREE SHIPPING on all heavy duty battery cables!